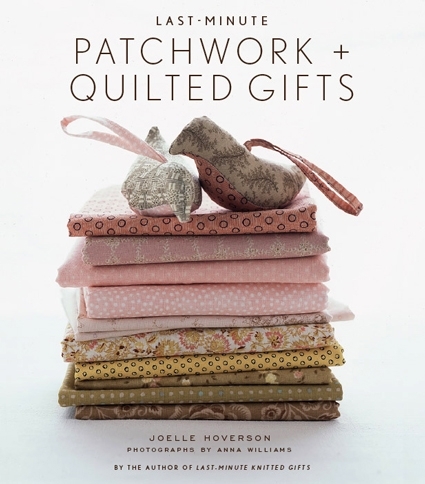 We are anxiously awaiting the arrival of Joelle’s new book, Last Minute Patchwork + Quilted Gifts! According to the UPS website, our shipment will be arriving at both Purl Patchwork and purlsoho.com on Monday September 10th! Joelle’s second book is a beautiful collection of heartfelt gifts that can accommodate any busy crafter’s schedule and skills. You’ll find a wealth of inspiration and patterns for all sorts of projects, arranged according to the amount of time required to complete them, from about 2 to 12 hours. We are thrilled to offer our customers an opportunity to pre-order signed copies of Last-Minute Patchwork + Quilted Gifts. Just follow this link to our secure order page! 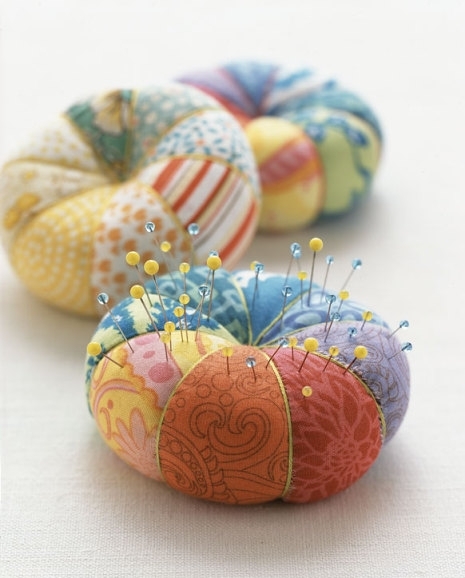 Kelly’s Pincushions – From the 2-to-4 Hours Gifts chapter, created by Joelle’s dear friend Kelly McKaig. 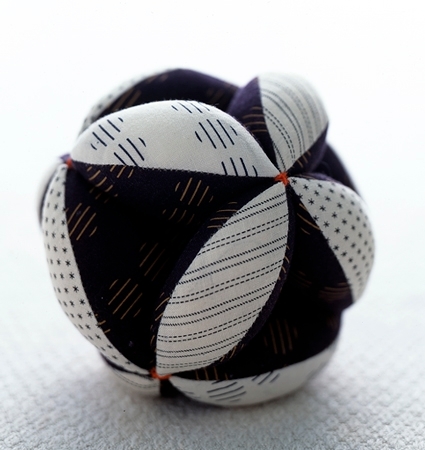 These pincushions will make a special and useful gift for all of your sewing friends! 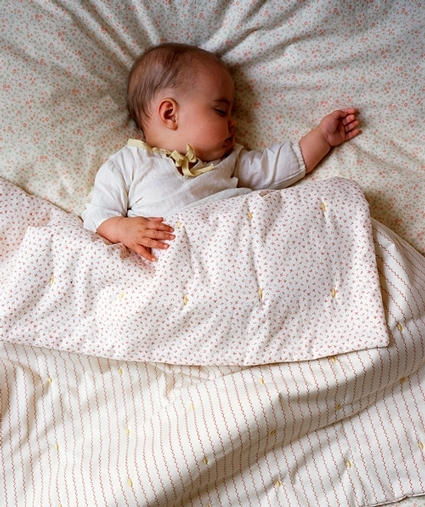 Super Quick + Easy Baby Quilt – From the 2-to-4 Hours Gifts chapter. It really is! Puzzle Ball – From the 4-to-8 Hour Gifts chapter. This piece makes a great gift for children and babies. 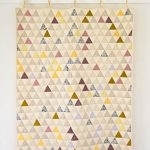 Follow-The-Lines Baby Quilt – From the More-than-12 Hours Gifts chapter. 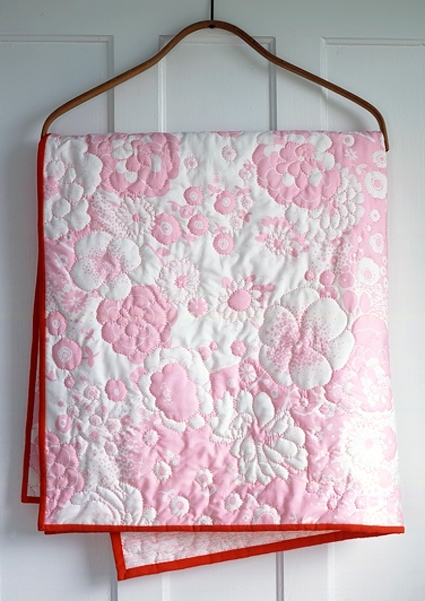 This project was lovingly hand-quilted by our friend and Purl Patchwork’s quilting teacher Cassandra Thoreson. Its a great way to make an intimate acquaintance with this charming print from Alexander Henry. 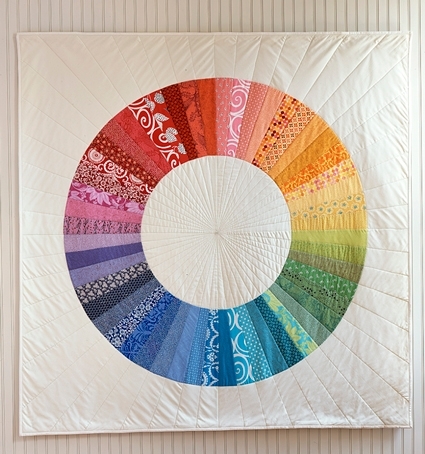 Color-Wheel Quilt – This is one of our favorite projects from the More than 12 Hours Gifts chapter. CONTRIBUTIONS FROM TWO OF OUR FAVORITE DESIGNER/BLOGGERS! The book also includes two very special patterns from designers Hillary Lang of Wee Wonderfuls and Kathy Mack of Pink Chalk Studio. From the 4-to-8 Hours Gifts Chapter. 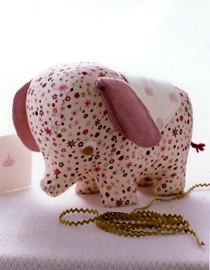 Hilary Lang’s bashful baby elephant just couldn’t be sweeter! The book includes full-size templates to assist you in making your own sweet elephant. From the 2-to-4 Hour Gifts chapter. 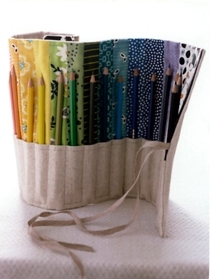 Kathy Mack created this beautiful linen tool pouch for your favorite young artist with a bright surprise on the inside. 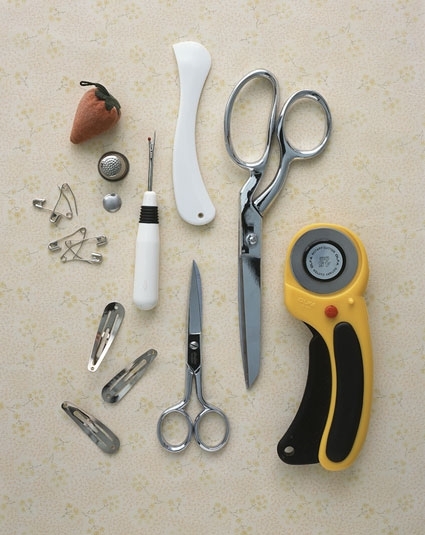 Readers will find that in addition to the rich projects in the book, a substantial section is dedicated to dissecting the essential tools and techniques that every confident crafter must know. Even in describing the elements of a basic tool kit or discussing pinning techniques, Joelle shares her own indispensable tips on how to cut corners without sacrificing quality. 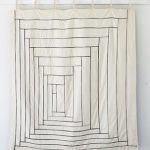 Everything from preparing fabric, cutting, sewing, and quilting are detailed with “techniques that I rely on most often” in addition to techniques that are “simple and direct”. Insights on choosing the perfect materials for every project will help build a fundamental knowledge of natural materials, like silk, wool, and even vintage fabrics. Cotton thread, cotton batting and stuffing, and cotton prints are traditional sewing materials that find fresh life among Joelle’s sensible, stylish projects. There is just so much to see and do, whether you have a whole afternoon or just an hour! Making and giving handmade gifts is so rewarding; we hope Joelle’s new book will inspire you in your endeavors! 62 Responses to Arriving at Purl Any Minute Now! Last Minute Patchwork + Quilted Gifts! 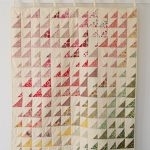 I’ve just bought this book from Purl Patchwork and can’t stop looking at the pretty designs! Haven’t had chance to create anything yet, but can’t wait to have a go! 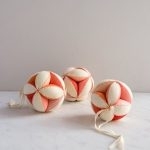 I have just bought your book – love it I must say – but my first attempt at a project has left me stumped – the pincushion! Step 6 is a mystery to me – the template is lacking in detail and now looks wrong compared to the example. Do you have an errata page somewhere? I would much appreciate it as these are ‘last minute’ gifts. I love the book! I have made the follow-the-lines baby quilt, the pincushion, took inspiration from the (sort of) crazy quilt to make a money envelope and am in the middle of the colour-wheel quilt. It’s funny Bronwyn mentioned the pincushion. I had a small problem with it too. The template has a squared off side (opposite the fold side), so when it’s time to sew up, it’s difficult to get the pieces to come together nicely in a point. The picture in the book shows one of the pieces cut and laid out, and it looks like it has a point, not a squared off end. Anyhow, congratulations on the book! It’s wonderful. I made on of the multicolored pincushions and my quilt guild loved it. So did I for that matter. This book is fantastic! I ordered this book from Amazon and it duly arrived last week here in Crete. I love it and am making little birds at this very moment. It’s wonderful!! I am just getting to making the puzzle ball and do not have the circle pattern. Are there two pages of pattern pieces in the book? I am afraid I may have lost some pages in my move! Scratch my previous comment! I read the directions more thoroughly and see that you recommend 5.5 inch diameter circle template. Thanks! Hola muy lindo todo! no se ingles pero igual quede encantada! gracias!